Mexico City (AP) – Mexico hopes to top last year’s success with the NFL and is trying to extend its three-year deal to host league games. Last year’s game generated $45 million for the Mexico City’s economy, according to a league study. 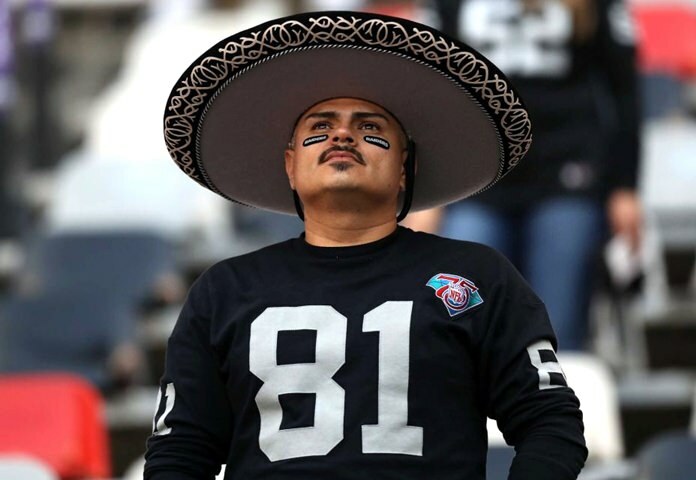 “We need to keep working hard to be as successful as last year in order to have a chance to continue with this project and that the game is here to stay,” Arturo Olive, the NFL Mexico office director, said. Olive says he has talked with “some teams” about holding training camps in Mexico. For all of the success of last year’s game there will still problems. During the game, a green laser bothered the eye of then Texans quarterback Brock Osweiler. Some fans threw paper planes on the field and there were homophobic chants during kickoffs, similar to the ones heard at soccer games in Mexico.